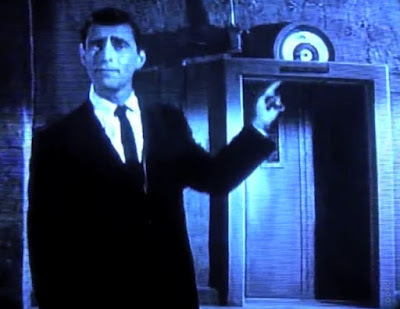 Image above of Rod Serling on the Twilight Zone television series was [found here]. Since Matt Drudge broke the Bill Clinton/Monica Lewinsky scandal, politicians, billionaires, bankers, and corporate organized crime has put Matt Drudge on the top of their secret enemies list. The below video [direct link]. Umm ... surely this has to be a joke, right? AJ and Drudge ... bedfellows, and truth tellers?? But then again I suppose the Easter Bunny, and Santa Claus exist ... whoops ... sorry ... that flying pig, again. Drudge posts links to stories all over the globe. It's a hub. Drudge is not covering the stories himself, he collects and shares the links. Alex Jones discusses topics the mainstream media covers. The mainstream media is run by Big Pharma, Monsanto, the Federal Reserve, international corporations who make money arming the opposition, training the opposition, recruiting the opposition, getting the opposition to attack specific targets and then these organized criminals offer the solution charging us even more of our land, resources, freedoms, and future. But Alex Jones has been known to be a shill for years. I still don't know why anyone would back him, or give him any stock whatsoever ... certainly not in the alternative /truth/patriot community. He is a gratuitous doom monger, starting off with the Y2K nonsense about nuclear reactors going into meltdown, and continuing ever onward from there. He makes a tonne of dosh on this doom mongering nonsense, and anyone who has looked into it will find that all his backers come from the same community (which he barely even mentions), and it was shown that a lawyer he used was connected to the Bronfmann family of Canada. I should know since I was the one who discovered this link ... years ago. Anyway, each to their own, I suppose but its best to look outside people like him, and Drudge (he's just an old fashioned reactionary, I think, and sees reds under every bed and carpet ... and should be ignored just for that reason). Life is too short to waste on people like that. They do real truth no favours whatsoever, and harm it in many ways, corralling people into certain groups or factions, and spinning them a crock of lies.